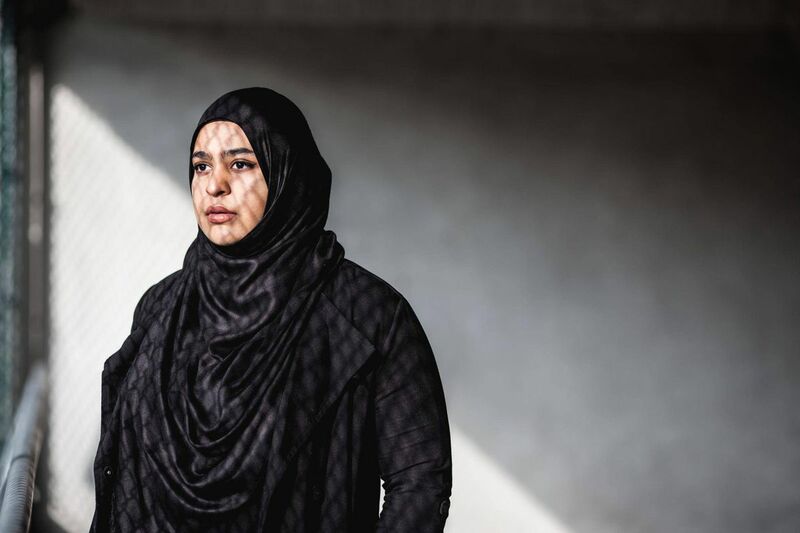 Masuma Khan, a vice-president of the Dalhousie Student Union, is facing disciplinary action over a Facebook post about Canada 150 celebrations. A student at Dalhousie University is facing disciplinary action for a Facebook post she wrote about Canada 150 celebrations, after another student complained that her post discriminated against white people on the basis of skin colour and ancestry. Masuma Khan, a vice-president of the Dalhousie Student Union, wrote the post on June 30, in response to another post by the Nova Scotia Young Progressive Conservatives (NSYPC). The NSYPC message criticized a motion by the student union not to participate in Canada 150 celebrations on July 1 and to label such events "an act of colonialism." The student union "should prioritize advocating for student issues, not attacking Canada," the Conservatives' message said. "At this point, f*** you all," Ms. Khan responded. "I stand by the motion I put forward. I stand by Indigenous students. … Be proud of this country? For what, over 400 years of genocide?" She signed off with the hashtags #unlearn150, #whitefragilitycankissmyass and #yourwhitetearsarentsacredthislandis. On July 5, Michael Smith, a graduate student in history, filed a written complaint about Ms. Khan's Facebook comments, alleging that "targeting 'white people' who celebrate Canada Day is blatant discrimination." Mr. Smith then wrote an op-ed for the National Post newspaper about the debate at Dalhousie and Ms. Khan's comments. He did not disclose that he had filed a complaint with the university. After the piece came out, Ms. Khan was the target of social-media comments telling her to "pack her bags." "I was born and raised in Halifax, Nova Scotia. They could tell me to go back but I would still be here," Ms. Khan said in an interview. The idea that she was engaging in reverse racism against white people is ridiculous, Ms. Khan added. "I don't see my actions as targeting someone, or white folks," she said. "White people can go through discrimination but not racism. Reverse racism does not exist because I would never have the power to oppress someone the way the system can oppress marginalized people." After conducting an investigation, Dalhousie's vice-provost of student affairs, Arig al Shaibah, concluded that Ms. Khan violated its code of student conduct which prohibits "unwelcome or persistent conduct that the student knows, or ought to know, would cause another person to feel demeaned, intimidated or harassed." "The choice of language and tone used in the Facebook post … was very concerning," the university said in its submission to the discipline committee, a copy of which was obtained by The Globe and Mail. Beginning "a post that addresses peers … with expletives … cannot be defended as merely passion for social justice." It is "understandable that the Complainant who identified as White (among other identities) disclosed feeling targeted on the basis of their White identity," the university's statement said. If Ms. Khan had agreed to attend counselling sessions on leadership and coalition building, the complaint would have been resolved informally. But Ms. Khan said she did nothing wrong and wants to defend herself. In the past, her extensive campus activism has been celebrated by the university, which republished a local media profile of her on its website. Her post was not polite and contained profanity, Ms. Khan has acknowledged. But it was provoked by frustration at the debate that had occurred around the original student-union motion and her experience of becoming the target of personal harassment when she defends racialized groups or Indigenous students. "I see it as my right to express my views publicly in whatever manner I choose within the limits of free speech," Ms. Khan wrote in her response to the university's investigation. Ms. Khan is defending herself with the help of Halifax law firm Nijhawan McMillan Barristers, which has taken on the case pro bono. The university has no jurisdiction to police its students' speech when that speech does not harm other students, lawyer Nasha Nijhawan said in an interview. "I don't think it's the position of a university to tell its students, or even its student leaders, what are acceptable forms of protest. It's particularly offensive to me to say to a brown woman 'You can talk about racism as long as you don't disturb the status quo. You should just settle down a little bit, you're bothering people.'" A hearing on the case is expected to be scheduled for later on this fall. The university could not comment on the specifics of the case. It is the "university's established practice to respect the privacy and confidentiality of current and former students," a Dalhousie spokesperson said in a statement. The debate at Dalhousie occurred against the backdrop of a national conversation about whether Canada was erasing the unequal and exploitative history of its relationship with Indigenous people in celebrating the 150th anniversary of Confederation. "I could list a thousand reasons why celebrating Canada 150 hurts and why it is just a magnified and compounded example of what every single day feels like," wrote Romeo Saganash, a residential school survivor and NDP MP in a commentary. Dalhousie joined student unions at Ryerson and Algoma universities among others in refusing to mark the date. The motion was largely symbolic as the student-union building was closed for the July 1 holiday. Ms. Khan introduced the motion at the student union after talking with Indigenous students on campus. The decision not to participate in Canada 150 celebrations was supported by all but three of the student representatives attending.